Neelam Silk was founded in 1992 by Khomathy and Indrakumar Paramanantham, who come from Jaffna, Sri Lanka by way of the UK. They both studied in England where they also married. 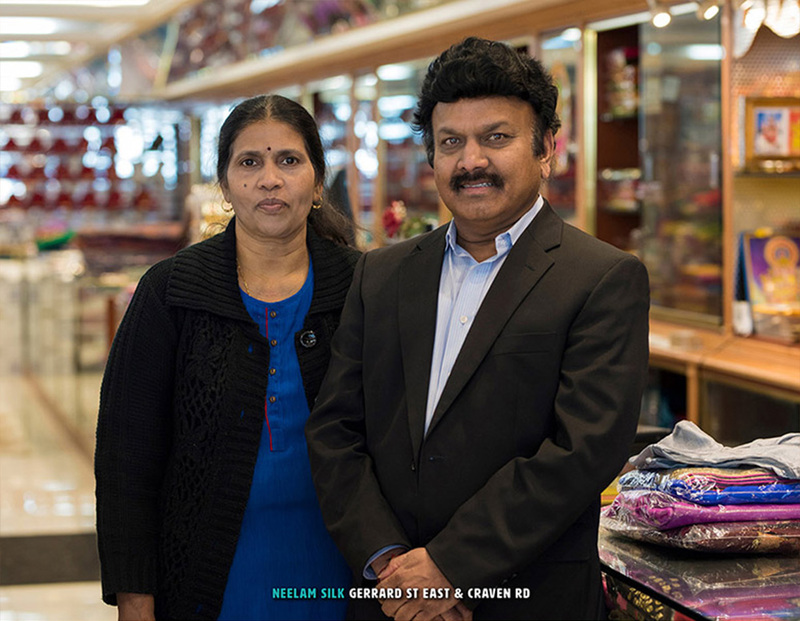 They moved to Canada in 1980 and invested their savings in Neelam Silk. They rented at first but were able to buy their own building in 2002. Neelam Silk specializes in pure silk, traditional Tamil sarees, many of which come from Kanchipuram, Tamil Nadu. Though this is their core offering they offer many different kinds of items including pashmina and cashmere shawls, casual clothing, luggage and bedding in their their large store space. Khomathy and Indrakumar love being a part of the bazaar and they hope to attract more business in the future.